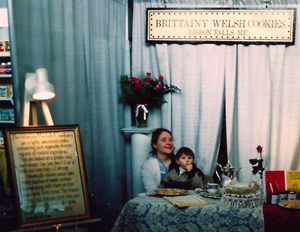 Brittainy Welsh Cookies is family-owned and operated in Lisbon Falls, ME. Since our welsh cookie company opened its doors in 1989, our award winning Welsh cookies have sold in fine food and gourmet food shops across the United States. Beginning with our family recipe for Welsh Cakes, we experimented with a number of different combinations of other flavors, and after some testing we narrowed our line of products down to our favorite four combinations. We pride ourselves in producing these unique, high quality products. As a snack or serving as a dessert for family, friends, or important guests, you will find that they will always impress the most demanding of pallets! In the early 80’s while attending college in York, PA, I worked at a specialty/gourmet food shop. This is when I realized that the fantastic welsh cookies that my oldest sister Kay sold in the Scranton/Wilkes Barre area, were better than all of the baked products they sold in specialty food and gourmet stores. York is less than three hours driving time south of Scranton, but it seemed that nobody knew what welsh cookies were, but once they tried them they loved them. I told my sister she should sell to the specialty food market. Her response was that she had all the accounts she could handle, and that I should do it. A few years after graduation, I married and moved to Maine. 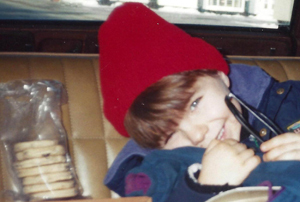 In 1987, after the birth of my first son, I began planning to bake and sell welsh cookies wholesale using the same family recipe. 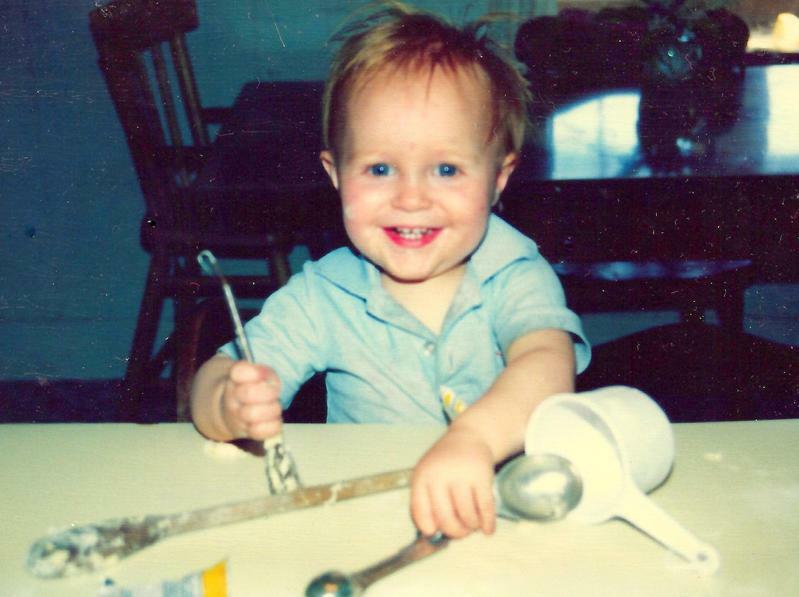 I based the company name on my maiden name, Brittain, as the recipe was my mothers’. This name has been the cause of some confusion. While marketing at an international trade show in New York City, a group of Welshmen from the Welsh booth (yes, the country of Wales) approached me. In broken English they proceeded to inform me that the town of Brittany is in France. I tried explaining the origin of the company name, but they didn’t seem to understand. Finally, shrugging my shoulders, I just said ‘I made it up.’ They left, still looking confused, but they did like the cookies. My sister has since retired from baking. Her company, Banull’s Breadbasket closed its doors in 2008 after nearly 30 years of serving the historic coal mining region of northern Pennsylvania. We couldn’t have built our business without Kay, Chet, and her wonderful kids, Chris, Kevin, Kim, and Britt. We love you all. Thank you! When talking about our company’s history, I must also recognize and thank my mother and father-in-law for their help and patience during their vacations to Maine. It doesn’t take a PhD to fold boxes, but we’re sure glad that you chipped in where you could, when you weren’t watching the kids. One memorable moment was when one of our largest accounts from Vermont mentioned in their catalog that the cookies were made by welsh descendants. I mentioned to my mother-in-law that I was pretty sure my heritage is Irish. She assured me that she has a lot of Welsh on her side of the family to make it a true statement. It wasn’t until a few years later while talking with a cousin that I found out that my mother’s family had immigrated to Ireland from Wales in the 15th century. Go figure! Other memories are from the Christmas holiday season. It seemed to never fail that a metropolitan shop would need an overnight order of cookies to fill a gift basket order for a famous person. The names dropped were of some top movie and television personalities. We can never be certain that all of the stories or names were exactly factual, but it always gave us the extra boost of energy we needed to get us through the 11th hour of the Christmas rush.